1. Proper Placement - Addresses (both mailing and return address) and postage should all be placed on the same side of your package, parallel to the longest edge. 2. 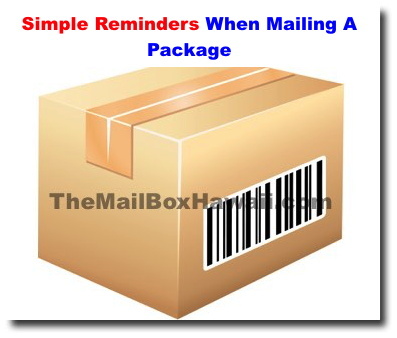 Return Address - The return address must be placed in the upper left corner of the label. 4. Accurate Address - Make sure you are using a complete and correct address. Remember to use a Zip Code + 4 when possible. 3. Special Handling Requirements - If your package has any special handling requirements (i.e. fragile, liquid, perishable), make sure it is clearly marked on the outside of the box/package. 4. 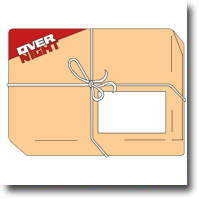 Proper Mailing boxes - Use durable envelopes and packing materials to prevent it from getting damaged. USPS offers Priority Mail Express and Priority Mail services and packaging materials to help ship your items.